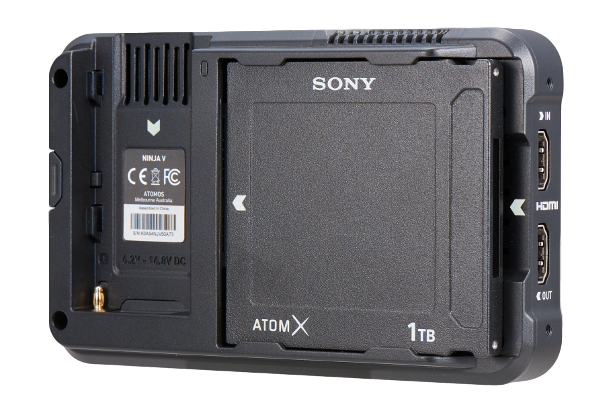 Sony is announcing three new versions of their ATOM X SSDmini geared toward professional use in Sony ATOMOS recorders. Film makers continue to turn more and more to DSLR and mirrorless cameras for content creation, and the new ATOM X SSDminis easily attach to the ATOMOS line of recorders, helping to eliminate the internal compression and time limits of the recorder itself. The ATOM S SSDmini disconnects from the back of the recorder, making it ready for immediate editing as the content is now securely stored on the SSD. 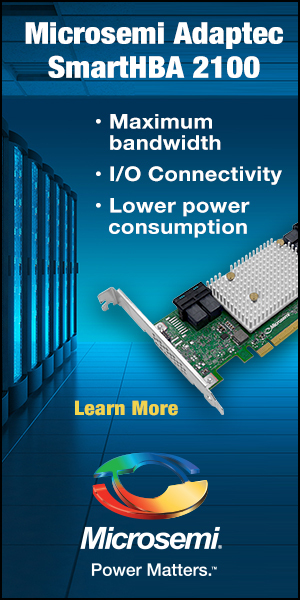 The ATOM X SSDmini is capable of sequential read speeds of up to 550MB/s, and sequential write speeds of up to 500MB/s. It is specially designed to fit the Ninja V, but is certified to support all ATOMOS product codecs. Reliable recording is achieved without frame drop out. The extremely durable connector has passed testing that includes 3000 repetitions of insertion and removal. The ATOM X SSDmini provides shock resistance of up to 1500 G / 0.5ms. Its dimensions are a mere 80.0mm x75.5mm x 7.8mm, and it weighs 88g. Sony is backing the ATOM X SSDmini with a three-year limited warranty. 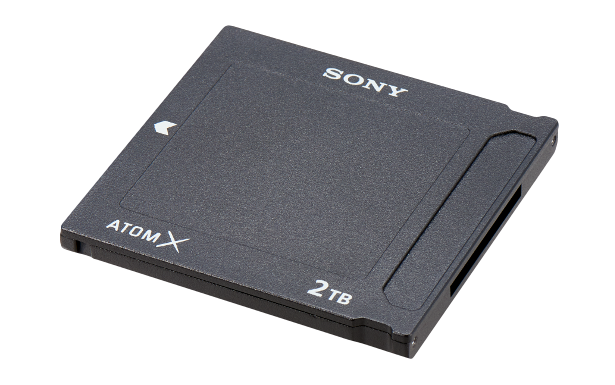 Sony is offering the new ATOM X SSDmini in three capacities. The 500GB is listed at an MSRP of $199.90. 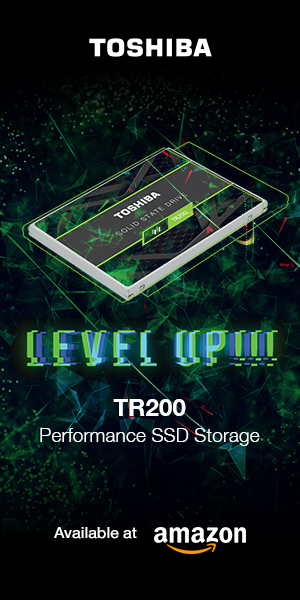 The 1TB version is showing at an MSRP of $379.90, with the 2TB version at an MSRP of $759.90. 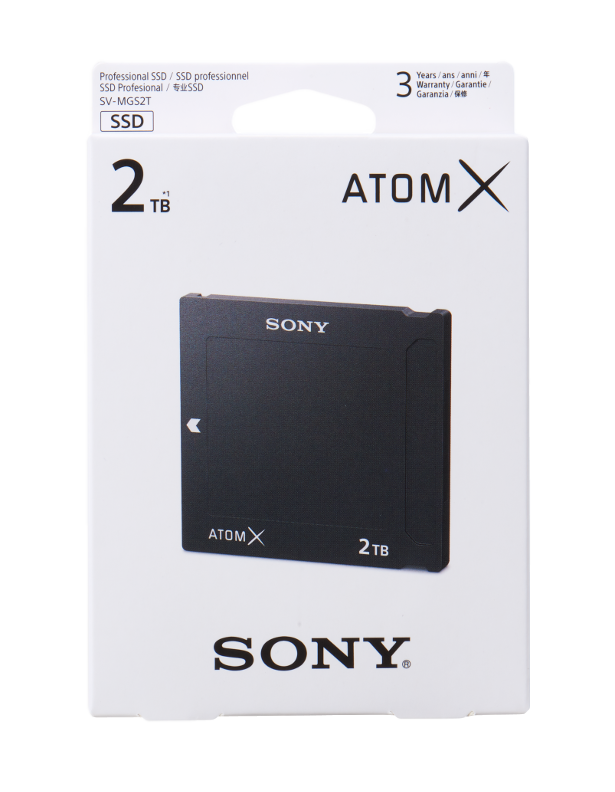 The new Sony ATOM X SSDmini is available now from e-tailers such as B&H Photo & Video.